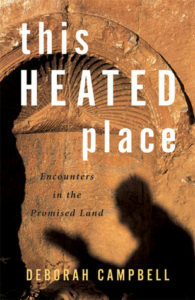 From embattled cities in Syria to intractable encounters in Israel, the writing of Deborah Campbell fuses journalism and travel writing with the kind of personal observations that can only come with being immersed in some of the most pressing international issues of our time. 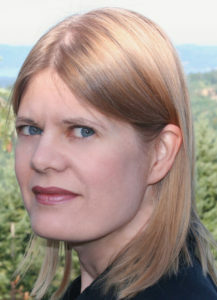 Now, Canadian author and literary journalist Deborah Campbell will become the latest addition to UVic’s celebrated Department of Writing. Starting July 1, 2018, Campbell will be the new assistant professor of creative nonfiction; she will also become Director of the Professional Writing program in January 2019. “Deborah Campbell instantly makes UVic’s Department of Writing the destination in Canada for aspiring nonfiction writers who want to learn how to fuse a distinct personal voice with a depth of research and a keen social conscience—just as Deborah has done for years,” says Writing chair David Leach. 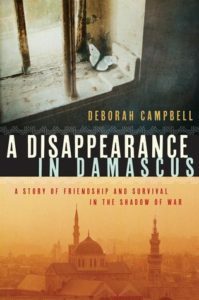 Campbell’s most recent book, A Disappearance in Damascus: A Story of Friendship and Survival in the Shadow of War (Knopf Canada 2016, Picador USA 2017), won both the Writers’ Trust Hilary Weston Prize and the Hubert Evans BC Book Prize. Screen rights have been optioned by writer/director Terry George (In the Name of the Father, Hotel Rwanda). Her work has also been collected in seven separate anthologies. 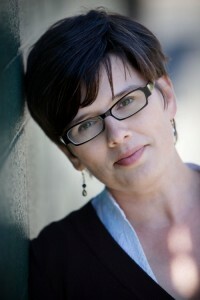 Deborah Campbell has written for Harper’s, The Guardian, The Walrus, The Economist and many other publications. Winner of three National Magazine Awards, in 2017 she also received the Freedom to Read Award, presented annually by the Writers’ Union of Canada in support of freedom of expression. 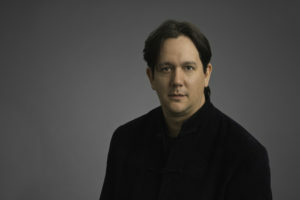 Campbell holds both a BFA and MFA in Creative Writing from UBC, and did undergraduate studies at institutions ranging from University of Paris-La Sorbonne and Tel Aviv University in Israel to SFU. Her teaching experience includes positions with the Creative Writing Program and the Graduate School of Journalism at UBC, as well as Vancouver’s Langara College. Interestingly, beyond being fluent in French, she also has a basic working understanding of Hebrew, Farsi, Arabic and Spanish. Her work will compliment the current creative nonfiction and journalism classes taught by the likes of David Leach, Lee Henderson and the annual visiting Southam Lecturer in Journalism and Nonfiction, as well as sessional instructors like Frances Backhouse, Christin Geall, Annabel Howard, Kirstie Hudson, and John Threlfall. Shakespeare’s funniest and shortest comedy is getting a reboot for the digital age. Self-professed Shakespeare nerd Jeffrey Renn — currently completing his MFA in Directing at the Department of Theatre — has been working to create a Shakespeare production that would truly engage the iTunes generation. This week, the director opens his unique adaptation of The Comedy of Errors at UVic’s Phoenix Theatre, blending Shakespearean verse with contemporary music to create a zesty production that’s more Broadway pop musical than Elizabethan classical. Of course, Renn isn’t new to either acting, directing or reinterpreting the Bard. From the London Academy of Music and Dramatic Arts to both the Stratford and Shaw festivals and even Broadway, he has performed Shakespeare across the world. 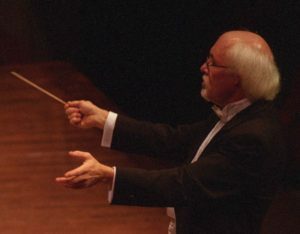 “I have been blessed to work with rare artistic genius when it comes to Shakespeare,” says Renn, “including the legendary Robin Phillips.” (Well-known as the artistic director who put Ontario’s famed Stratford Festival on the map, Phillips sadly passed away in 2015 ). Comparing Shakespearean theatre to music videos, Renn feels the cutting-edge technology in music videos offers a shared vocabulary uniquely driven by youth—much as it was with theatre in Shakespeare’s day. As such, he wanted his pop-musical adaptation of The Comedy of Errors to look and feel like a contemporary music video, with an extensive use of mirrors to create a club-like environment and extend the themes of reflection right into the audience. For the Phoenix production, Renn has transposed the setting to modern-day New Orleans during the annual Mardi Gras festivities, and sought inspiration in the music of Nina Simone, Queen, Beyoncé, Justin Timberlake and many others. 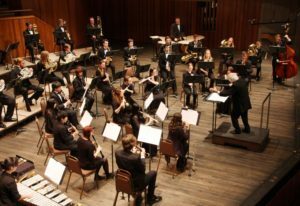 He adapted the play with music, integrating Shakespeare’s actual verse into versions of the songs he hopes will help student audiences better relate to the themes of the play. To ensure the authentic sound of youth culture, fourth-year student Aidan Dunsmuir fills the auditorium with an energetic sound design while lights explode on to the stage; colourful spandex and bling bring out the outlandish costumes of Mardi Gras parades, as well as the razzle dazzle of the club scene, with costumes designed by fourth-year student Jivan Bains-Wood. 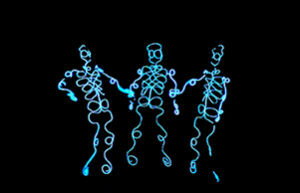 Fast-paced choreography by Christina Penhale, of Salt Spring Island’s exitStageLeft, and a clever glow-in-the-dark skeleton dance (with high-tech EL Wire suits designed and programmed by fourth-year student Matthew Wilkerson) completes the allusion to music video aesthetics. Also offering their professional skills to this production are School of Music performance instructor and Vocal Jazz Ensemble director Wendell Clanton as music director, Theatre design professor Patrick Du Wors as set designer, and Distinguished Alumni Award recipient Michael Whitfield as lighting designer. Phoenix Theatre’s The Comedy of Errors runs March 15 to 24, Mondays through Saturdays at 8pm, with 2pm Saturday matinees on March 17 and 24. Tickets range from $16 to $26, with $8 same-day previews on March 13 & 14. 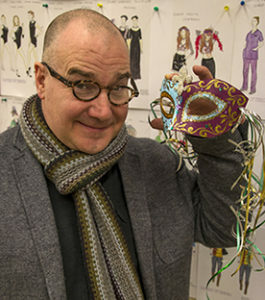 Director Jeffrey Renn will also offer a Preshow Lecture at 7pm Friday, March 16, where he will discuss adaptations of Shakespeare plays he has been involved with over the years. (All are welcome to the Preshow Lecture, whether you’re attending the show that night or not.) For tickets, please call the Phoenix Box Office at 250-721-8000. 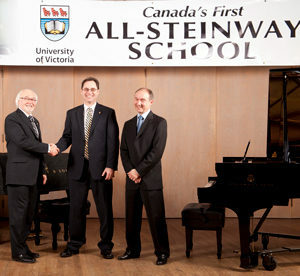 One of the best parts of being a Fine Arts faculty in an arts-rich city like Victoria are the opportunities available to current students through our associations with local cultural institutions. 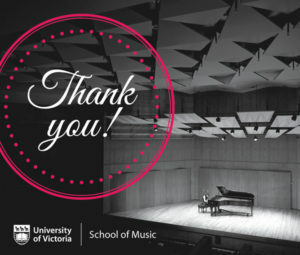 From Pacific Opera Victoria and the Art Gallery of Greater Victoria to Open Space and the Belfry Theatre (to name but a few), our students don’t have to wait to graduate to gain valuable first-hand experience working alongside professional artists, technicians, designers and directors. Case in point: the Belfry’s annual SPARK Festival, running March 8 to 25. Beyond their outstanding lineup of fascinating shows — including the monologue Who Killed Spalding Gray? 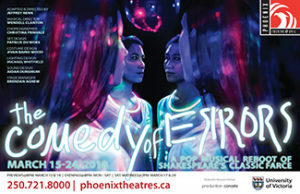 written and performed by Canadian theatre royalty Daniel MacIvor, who previously worked with Department of Theatre students to present the world premiere of Inside at the Phoenix Theatre in 2011 — SPARK 2018 offers current students in both the Theatre and Writing departments the chance to show their talents to Victoria’s wider community. Playwriting students will have the opportunity to present scenes from shows-in-progress at a special New Play Cabaret. Working in conjunction with student actors and directors from the Theatre department, SPARK audiences will enjoy scenes from new plays by Department of Writing MFA candidates Janet Munsil and Elliott James, and fourth-year undergrads Sarah Pitman and Alaina Baskerville-Bridges. 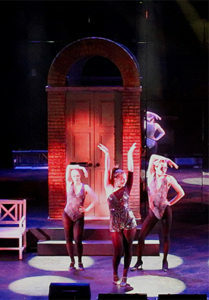 The free New Play Cabaret starts at 7pm Sunday, March 18, in the Belfry’s lobby. Talented Fine Arts students and alumni are also heavily on display during SPARK’s annual free Mini-Play Festival, which offer short 10-minute productions staged all over the Belfry’s building — from hallways, offices and storage rooms to the basement and the attic, you’ll never know where you’ll see one of these micro-plays. This year’s Mini-Plays feature work by Theatre alumni Pamela Bethel, Charles Ross (of One-Man Star Wars fame), Monica Ogden and Tony Adams, current Theatre student and 2016 City of Victoria Youth Poet Laureate Ann-Bernice Thomas (directed by fellow student Karen Saari), plus Writing alumni Kai Taddei (formerly Kat Taddei), and Visual Arts alumna Lindsay Delaronde, currently Victoria’s Indigenous Artist In Residence and creator of Pendulum, the contemporary Indigenous artist showcase recently seen at the Belfry. Have you heard? Mini-Plays are back at SPARK! This year’s Mini-Plays are all commissioned by the Belfry and inspired by 6ixty 8ight, a new play by former Department of Writing instructor Charles Tidler. But be warned: most Mini-Plays only offer space for less than 10 people, so be sure to get there early to get a spot. Mini-Plays run in two batches March 14 -17, and March 21 – 24: Wednesday/Thursday at 7:00 & 7:15 pm and Fridays/Saturdays at 7:00, 7:20 & 7:40 pm. Week one features Lindsay Delaronde, Charles Ross, and Monica Ogden & Tony Adams, while week two features Pamela Bethel, Kai Taddei, and Ann-Bernice Thomas. Also on view during the SPARK Festival is the annual Belfry 101 Live presentation, a new play created and performed in just one short week by local high school students. This year, Belfry 101 is directed by Theatre alumna Erin Macklem, and local improviser par excellence Dave Morris of Paper Street Theatre. 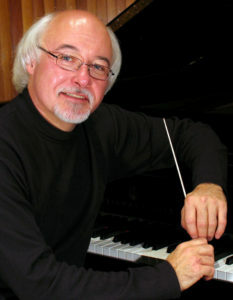 Belfry 101 Live starts at 7:30 pm on Sunday, March 25, on the Belfry’s mainstage. Also part of SPARK is the new play reading of Sunday in Sodom by noted playwright Jordan Tannahill, which is being performed by a number of Phoenix alumni including Trevor Hinton, Paul Terry, Jack Hayes and Laura Jane Wallace, as well as longtime Theatre professor Jan Wood. That free reading starts at 7:30pm Monday, March 19, in the Belfry lobby. Finally, Krystal Cook, an alumna of the En’owkin International School of Writing — which jointly awards the Indigenous Fine Arts Certificate with UVic’s Writing department — is part of the creative team behind Why We Are Here!, a site-specific pop-up choir production on Monday, March 12. Interested in contemporary Indigenous art practices? 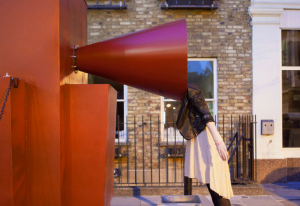 Excited by some of the dynamic and engaging work being created and exhibited both locally and nationally? Wondering how contemporary artists respond to important issues like Truth & Reconciliation, and Murdered & Missing Indigenous Women & Girls? Join the Visual Arts department for a special illustrated lunchtime lecture series featuring three prominent local Indigenous artists. All talks run noon to 1pm, and all are free. Visual Arts BFA/MFA alumnus Tlehpik Hjalmer Wenstob is a multidisciplinary artist from the Tla-o-qui-aht First Nation, on the West Coast of Vancouver Island. Coming from a background of carving, Wenstob’s work has transformed and reformed many times over the years, working in many different mediums, with a focus on sculpture. He has three dialects of art practices, all from the same visual language: traditional work, community/engagement, and contemporary art. While heavily involved in youth engagement and politics, as the Assembly of First Nation’s youth representative for BC and Canada, Wenstob’s work has taken on a balance of history, education, humour, question, and politics. 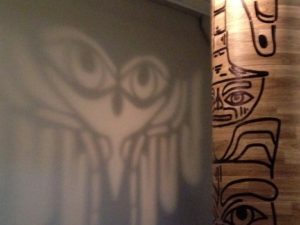 Coming from a background of carving masks, totem poles and working predominantly in red cedar, Wenstob’s work has transformed through materials and subject matter. With an interest in public installation, curation, mentorship, and sculpture, Wenstob has had work displayed and installed nationally across Canada. His most recent installation—created while mentoring youth—was four Bighouses on the front lawn of the BC Legislature building, which then led to a show currently on view at the Art Gallery of Greater Victoria. Visual Arts MFA alumna Lindsay Delaronde is currently the City of Victoria’s Indigenous Artist in Residence and a strong advocate for Indigenous voices, stories, culture and history. Born and raised on the Kahnawake reservation, Delaronde has been living on the West Coast for the past 10 years. In addition to her Visual Arts MFA, she holds a BFA from the Emily Carr Institute of Art and Design, and a Master’s degree in Indigenous Communities Counselling Psychology, also from UVic. A professional multi-disciplinary visual artist who works in contemporary Indigenous performance and facilitator of traditional workshops, Delaronde has been consistently active and made significant commitments at the local and national level. Her areas of research are stemmed in Contemporary and Traditional First Nations art, expressive arts therapy and working with Indigenous and non-Indigenous peoples within the arts and counseling. Her research focuses on land- based, collaborative practice, cultural resurgence and social/political activism through the arts. In 2008, Newman was selected as the master carver of the Cowichan 2008 Spirit Pole, a journey that saw him travel BC sharing the experience of carving a 20-foot totem with over 11,000 people. In 2009, he was selected from a national call to artists by VANOC and won the right to create a large installation: his piece “Dancing Wind” was featured during the 2010 Olympic Games, and consisted of 4 large panels, made from stainless steel, cedar and glass. He has done work for corporations, government agencies and museums around the world and is continually thankful for the opportunity to try new ideas. 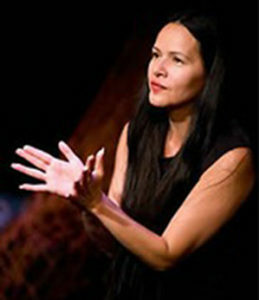 These talks are in addition to the Visual Arts department’s proven commitment to Indigenous artists and their practices, as evidenced by their long-running Audain Professorship of Contemporary Art Practice of the Pacific Northwest—which has afforded Visual Arts students the opportunity to work with the likes of Governor General’s Award-winner Rebecca Belmore, Michael Nicol Yahgulanaas, Rande Cook, Nicholas Galanin and Jackson 2Bears. 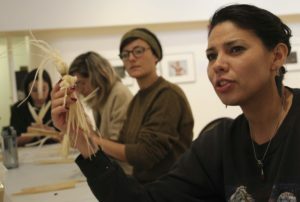 And the Faculty of Fine Arts supports the work of Indigenous artists and creative practitioners in a variety of ways, which you can read about here.